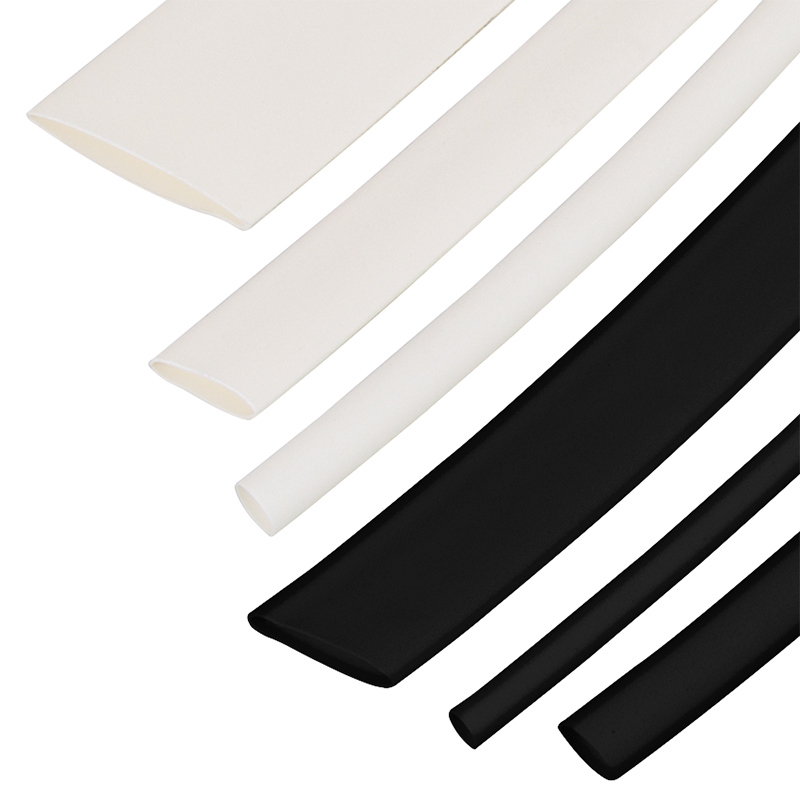 Use this Dual-Wall Heat Shrink Tubing to provide a weatherproof seal around spliced wires. Connections are sealed as heat is applied and tubing shrinks. The black or white tubing is available in 1/8", 3/16", 1/4", 3/8", 1/2", and 3/4" sizes. Price is per 6" piece. 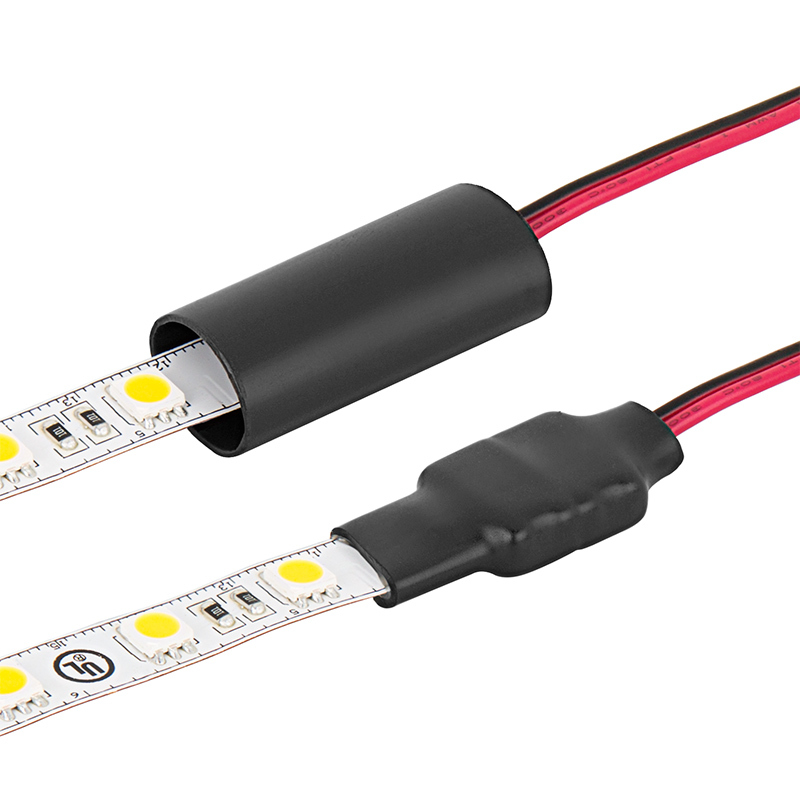 Outdoor Tunable White LED Strip Light Kit - Color Temperature Changing 12V LED Tape Light - Weatherproof - 65 Lumens/ft. You can't compare this product to regular shrink wrap! This dual wall shrink wrap with the heat activated silicone has given me added peace of mind when doing electrical installs. 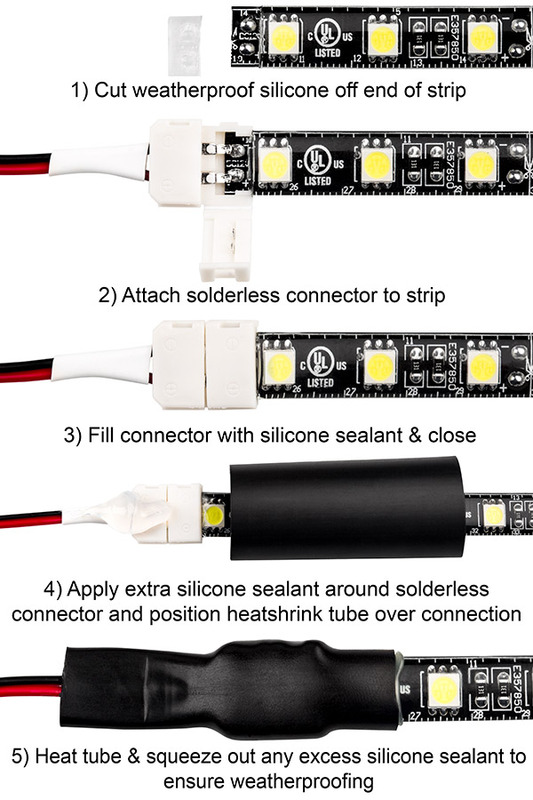 I know that my soldering connections will be shielded from the elements and I feel that heat shrink is also aiding in keeping the solder-joint secured should a pulling force be added to the wire. If you want a little peace of mind and desire a cleaner looking install add some of this to your shopping cart before you checkout! You won't regret it! I usually use heat shrink from oreily's or radio shack, but this is significantly better. This would be what i call "professional grade". It thicker than most tubing available and shrink farther down for each size than my usual brands. After ordering the small ones for my pet projects at work, i talked my service manager into letting me order some for the shop too. Im sure it will be a nice change. Really makes things look and feel like they came from a professional shop rather than my desk, which is always the goal!